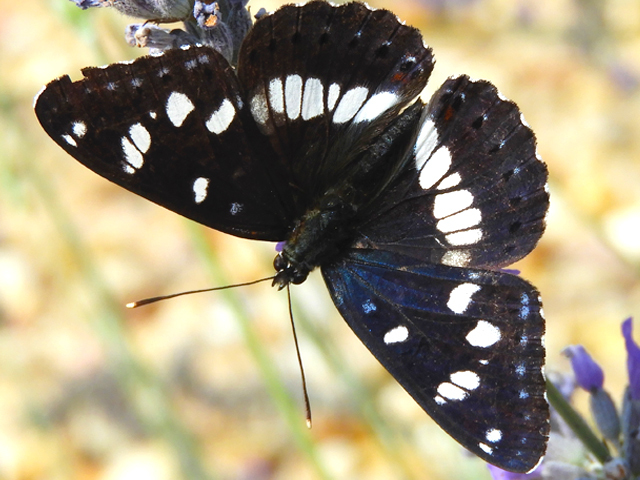 With large lilac-blue eye-like spots on the upper side of each dark reddish-brown wing the Peacock butterfly certainly is stunning and yet is commonly found throughout France. In stark contrast the underside of the Peacock’s wings are almost black, providing them with perfect camouflage when at rest or in hibernation. When scared the Peacock butterfly opens its wings to reveal the eyespots, a warning for predators to keep their distance. Both the male and female Peacock are alike in colour. Peacock butterflies mate in May and the female can lay up to 500 eggs. Peacock caterpillars are black, covered with short spines and speckled with small white spots and they are usually found on stinging nettles. The caterpillars pupate alone and the adult butterfly emerges in July and starts to feast on nectar in readiness for their winter hibernation in dark crevices, sheds and tree holes. The Peacock enjoys nectar from a range of flowers including Lavender and Buddleia and can be seen in gardens, parks, woodlands and along hedgerows. 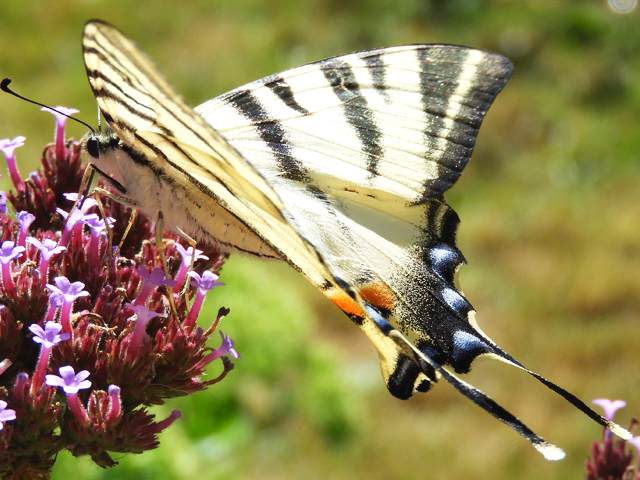 They have two flight periods March – May and also July – September so now is the perfect time to keep an eye out for them in your garden. The photograph was kindly sent to me by Marianne Muller (twitter name @Pyreneesgite) who lives in Loudet in the Haute-Garonne region of France. You’ve done it again Katherine, keeping me informed. 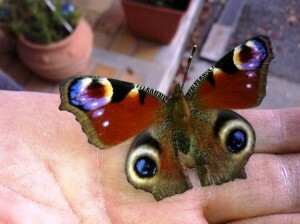 I have lots and lots of these butterflies in my garden but I didn’t know the name of them. They prefer the lavender above anything else in my garden and I have loads. Keep up the good work. Thanks Jennie 🙂 I bet your lavender is looking and smelling lovely at the moment. Hi Katherine! 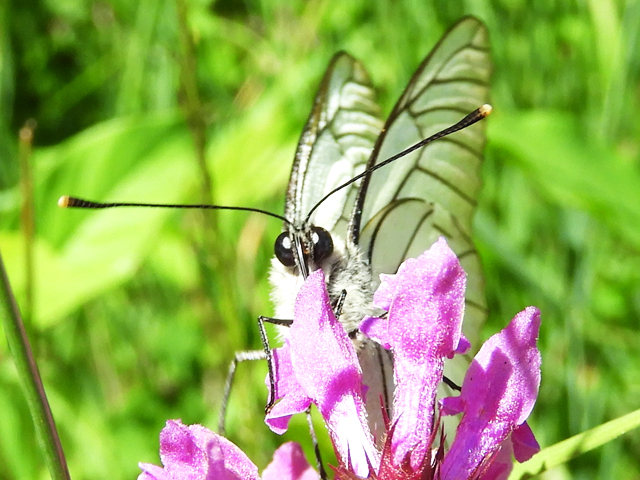 Lovely to have more info on this beautiful butterfly. My Mum in England gets them on her buddelia. Gorgeous! Sorry I spelt that wrong – buddleia ? LOL it’s a funny word, I always have to check its spelling!